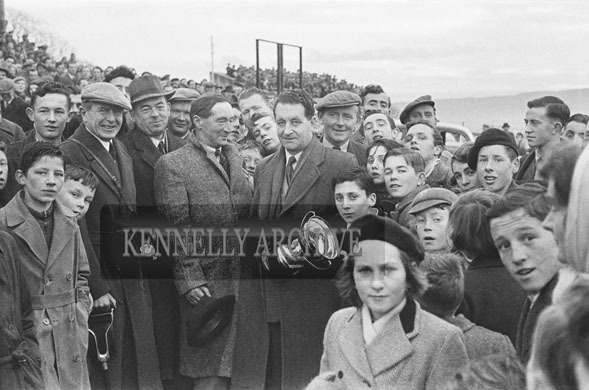 26th-28th December 1953; A Group Of People With The Owner Of The Winning Greyhound Holding The Trophy At The Kingdom Cup Coursing Meeting At Ballybeggan Park, Tralee. Kingdom Cup presentation, Ballybeggan Park 28 Dec 1953. On left front wearing cap, Charlie Downing, Chairman Ballybeggan Park Co.